Donald Edward Oliphant, Sr., age 77, passed away in the care of Nanticoke Memorial Hospital in Seaford, DE on August 21, 2018. He was born on March 12, 1941 in Millsboro, DE to the late Edward E., and Delaphine Mitchell Oliphant. 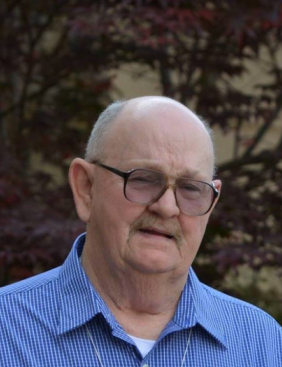 He was a veteran of the United States Marine Corps, and spent a career as a poultry farmer, and also retired from Perdue Farms, Inc. as a truck driver. On Nov. 9, 1962 he married his true love, Carol Ann Fisher and together they raised two children. Donald loved to tease and was a jokester, loving to tell stories and picking on his wife and children all in fun. He used to hunt and fish, and loved to read western books, and was a bird watcher. He was dedicated to his family, especially his wife and kids. He is survived by his wife, Carol Ann and two children: Donald Oliphant, Jr.(Donna) of Lewes, DE and Jo Ann Callaway (Todd) of Lenexa, KS. Also surviving are his sisters: Norma Lee Short; Becky Evans; Sherry Shultie (Jeff); Lavessa Dennis (Ricky); and Peggy Jalot (Rick) and his brothers: Ronnie Oliphant (Patricia); Vaughn Oliphant; Richard Oliphant (Carol Sue); Douglas Oliphant; Jeffrey Oliphant (Libby); and Dennis Oliphant (Peter). He was preceded by a brother, Darrell Oliphant, in 1961. He has six grandchildren: Sean; Greg; Randy; Jenna; Josh; and Danielle. There are six great-grandchildren: Brody; Jack; Ava Grace; Mason; June; and Ava Mackenzie. Also surviving are numerous nieces, nephews, extended family and many, many friends. He also was preceded by two loving pets: Raven and Nellie. A time of viewing and visitation will be held on Saturdy, August 25, 2018 from 1:00 – 3:00 PM at the Watson Funeral Home in Millsboro, with a funeral service and Celebration of His Life conducted by Pastor Eddie Daniel. Committal and Military Honors will be at the Delaware Veteran’s Memorial Cemetery on Monday, August 27 at 2:00 PM.